Are you looking for really impressive and powerful themes? Please check Premium Magento themes of Templates-Master team. All of them are professionally designed eCommerce website templates. We developed themes with improved SEO compatibility and additional premium features such as custom powerful widget with new, bestsellers, special offers and on sale products on main page, 2-1-3 columns layout for better SEO performance, newsletter subscribe block on main page and etc. 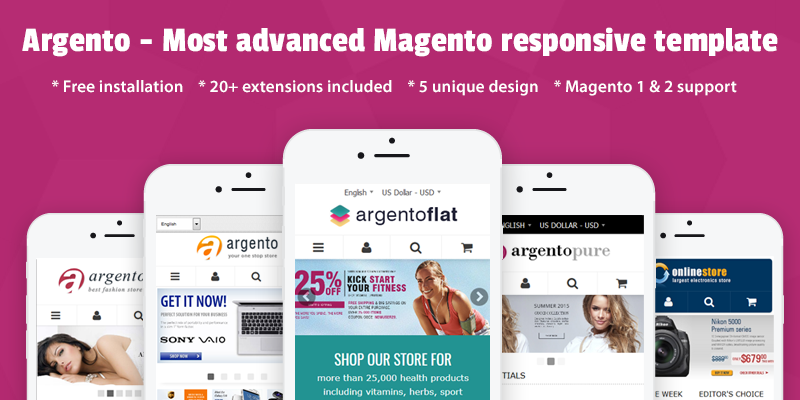 The application of our Magento Premium themes will make your store stylish and highly customizable. Professional template for store that need modern corporate look. 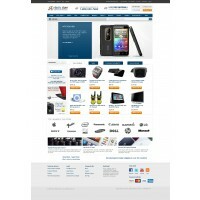 Based on 2 column home page layout with image slider and additional products blocks on main page. 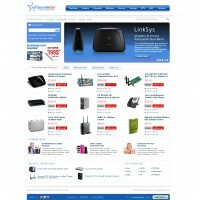 Theme provides provides floating toolbar with shopping cart, customers' and social links and improved SEO layout. Available in 10 colors. 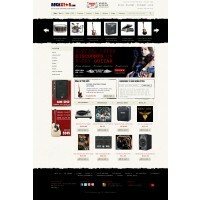 Best solution for music store. Home page layout is based on 2 column home page layout with built-in image slider extension and additional products tabs block. Powerful theme for your corporate store. Improved with premium features. Based on 1 column home page layout with built-in image slider extension and additional product tabs block. Comes in 4 ready colors. Well functioning theme for any kind of store. Improved with premium features. 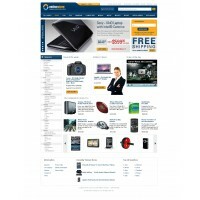 Theme's based on 2 column home page layout with image slider and additional product blocks on main page. Available in 10 colors. Professional template for store with a lot of goods and dozens of categories. It's based on 2 column home page layout with image slider. Additional product blocks such as Deal of the week, Editor choice. Video of the day and Recommended products are on the welcome page. Available in 10 colors.